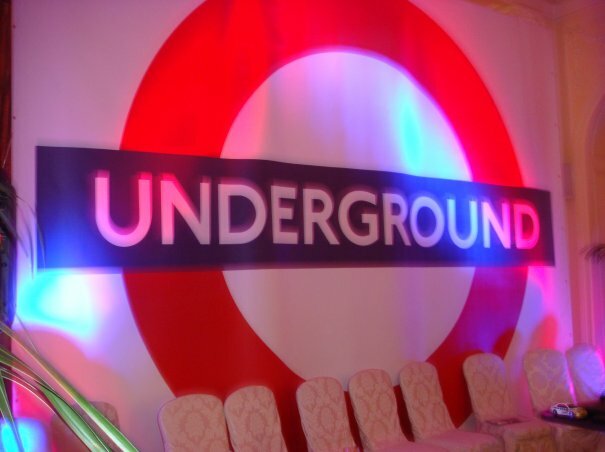 Package 1: 4mx4.5m Underground backdrop complete with led up lights and a choice of two London themes cut cuts outs. 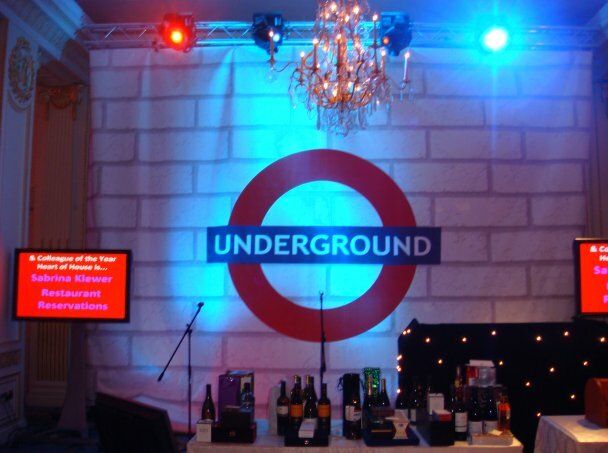 Package 2: Package 2: 7.2mx4.5m Underground backdrop complete with led up lights, plus a choice of four London Themed cut outs. London theme cut outs choices are as follows: most of these are 7ft 6 inches high and four foot wide, specially designed to fit in most venues, however, please check with your venue if unsure of its height. All come complete with two up lighters. 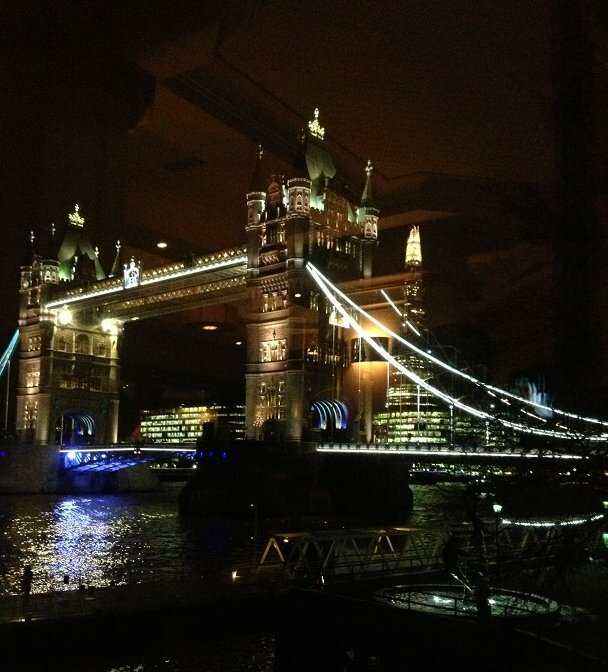 Also available the London theme Small table. Table centres available, are Tube Stations, London Cabs, London Buses.